Currently we are seeing 12 hrs of daily generation. 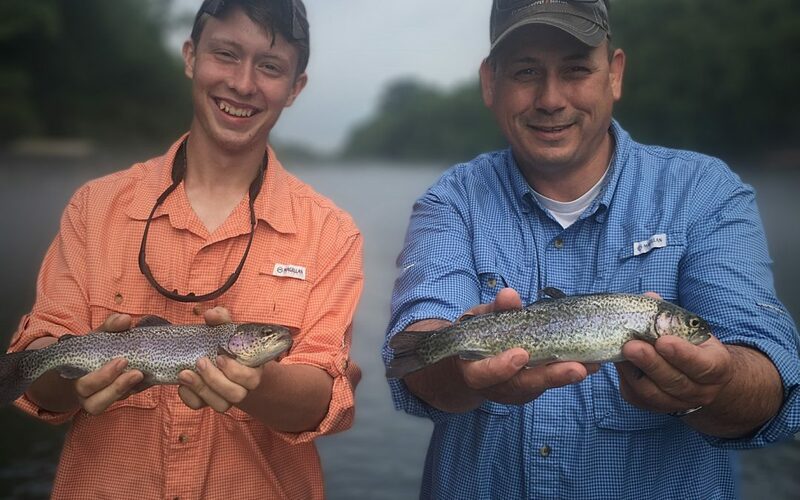 The generation begins early morning which provides some wadeable water downstream for a few hours each day and excellent drift fishing from a boat. Currently the Greers Ferry Lake level is above normal pool. To lower the lake level, we anticipate longer periods of heavy generation to begin soon. When fishing higher water, use long leaders and add weight to get your fly or Trout Magnet down for a good presentation. For fly fishing, we recommend san juan worms, pheasant tails, sowbugs and streamers. Pink and red colored Trout Magnet bodies on chartreuse heads are recommended for spin fishing. Always check before heading to the Little Red River by calling the Corps of Engineers Little Rock District water data system (501.362.5150) for Greers Ferry Dam water release information or check the Corps of Engineers website (swl-wc.usace.army.mil) for real time water release and the Southwest Power Administration website (swpa.gov) to see forecasted generation schedule.